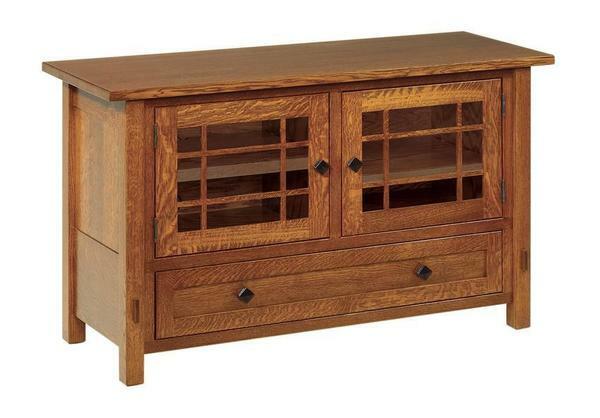 We can't promise that the simply stunning mission design of the Amish 49" Lucern Mission TV Stand with Drawer and Two Doors won't distract you from your favorite TV shows. Some of the standard features of this rectangular TV stand are a 1" thick top, smoked glass doors, and a CD/DVD accessible drawer. Custom options include wood type, finish, depth, and hardware. Great for apartment living and smaller homes, the solid hardwood construction of the compact entertainment center guarantees that it will last for decades to come.